We provide the most innovative Products and Quality Service on the market today. KEEP YOUR INVESTMENT LOOKING NEW! We also cover MOTORHOMES. All makes and models! No wall/glass Wrap is too large or too small, we do it all! 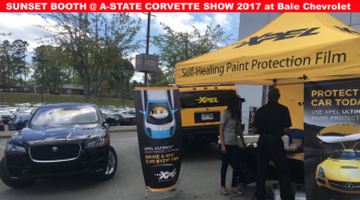 ADD A SATIN LOOK TO YOUR RIDE! Adding a touch of CARBON FIBER & Vinyl to the Grill and Fender. Sunset Window Tinting Inc. is dedicated to providing the highest quality products available. We take pride in offering integrity and dependability with all our work. Our mission is to satisfy you, our customer, with professional services from our skilled team. You can trust us to get the job done! 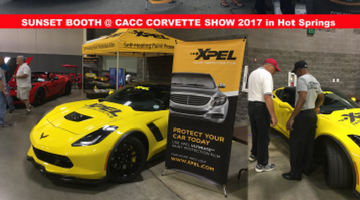 "We want to thank everyone for stopping by our booths, at The 19th Annual Central Arkansas Corvette show in Hot Springs and the A-STATE Corvette Show at BALE in Little Rock. And we appreciate your interest in our XPEL Paint Protection Film".